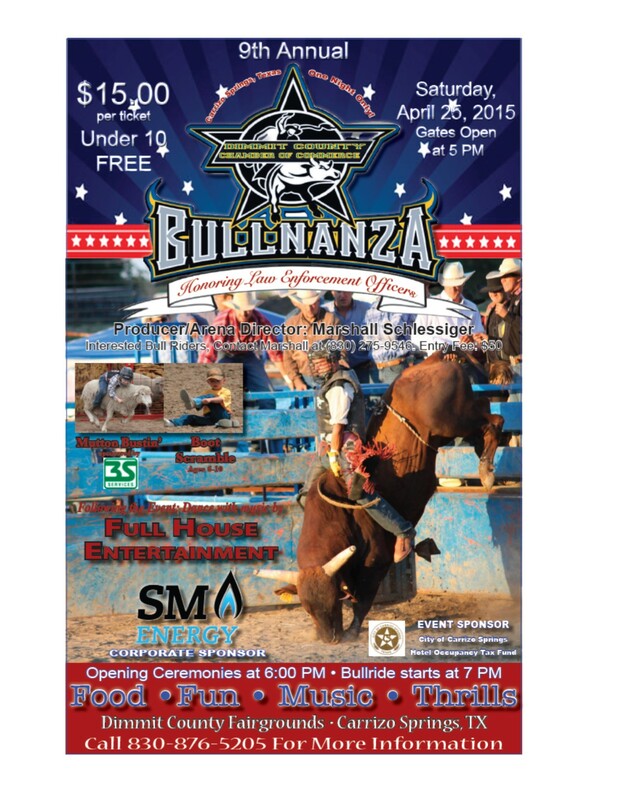 Dimmit County Chamber of Commerce Bullnanza This Saturday! The Dimmit County Chamber of Commerce Bullnanza is this Saturday in Carrizo Springs! Bull Riders: $3500.00 Added; Buckle to Winner; $50 fees! Books Open Today at 6:00 pm call ins 830-275-9546.